Russian Video: Heat and Smoke Disaster in Moscow! 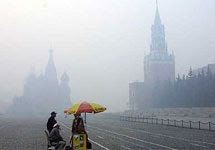 Today I want to show you a few videos from Russia Today about Heat and smoke disaster in Moscow. This entry was posted in Documentary on July 29, 2010 by admin.